Many thanks to Will for inviting me to take part in our first ever ICF Vegetable Photo Contest! 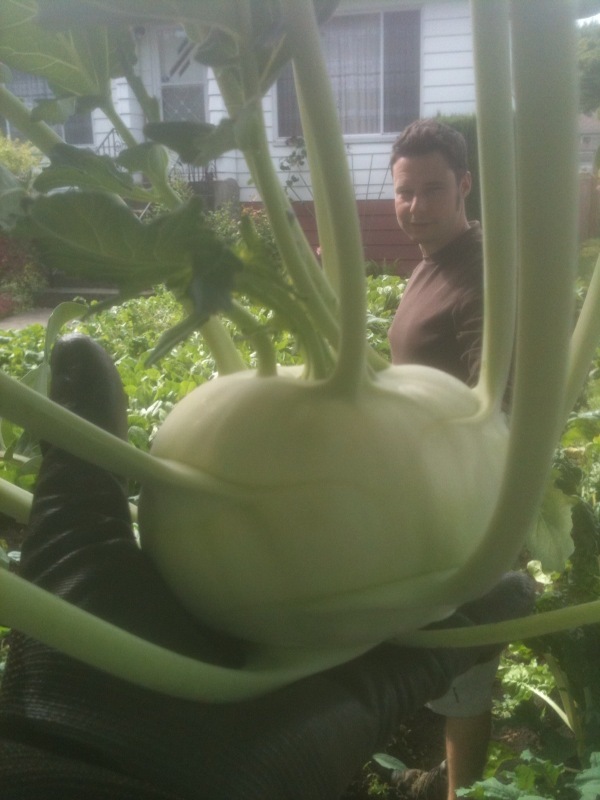 I can tell what you're thinking in this photo Will, and yes, it's the biggest Kohlrabi you've ever seen. That's the face of a skeptic.